These days, companies need to know how to communicate with their prospects, customers and referral partners and how to do it on a consistent basis without devoting all their precious time to it. Markbeech Marketing’s workshops and seminars inspire and educate businesses and organizations with smart marketing advice, practical strategies and real life examples and success stories. Audiences leave truly understanding each platform and with strategies and simple ways to implement them. This course is an overview about the most popular social media platforms and which one is best suited to effectively market and grow your business. We will cover Facebook, Twitter, LinkedIn and blogging and why they are necessary tools to achieve your business goals. With billions of daily active users Facebook, it is likely your audience of clients and prospects are on there, too. This course covers Facebook from it’s demographic details to the anatomy of a compelling facebook business page, setting it up, simple ways to develop exciting content, privacy issues, facebook advertising and more. understand what a hashtag (#) is (and how you use it) and how your prospects are using Twitter. 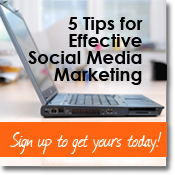 We will also cover strategic ways to create effective posts and simple tips for keeping your profile current. Join us to learn how to setup and use LinkedIn for your business. We will cover why LinkedIn is an essential marketing tool and the anatomy of a complete LinkedIn profile – personal and business. We will also cover smart ways to use your LinkedIn profile to promote your events, tweets and blog postings as well as research prospective clients. Are you blogging yet? Having a content-rich blog on your website is one of the most important ways to boost your SEO (getting found on Google, Yahoo, Bing). In this course, you will learn how to create valuable content, properly setup your blog posts (optimized! ), and strategically promote them. We’ll even show you how to schedule your posts so you don’t get overwhelmed. Contact us today to discuss your upcoming event or to schedule a date for our team to present one of our educational workshop. We are ready to help you grow! Get started on moving forward with your marketing strategy now!